The Moscow Dive Show 2019 will start in six months, participants give their special offers! Home / News / The Moscow Dive Show 2019 will start in six months, participants give their special offers! 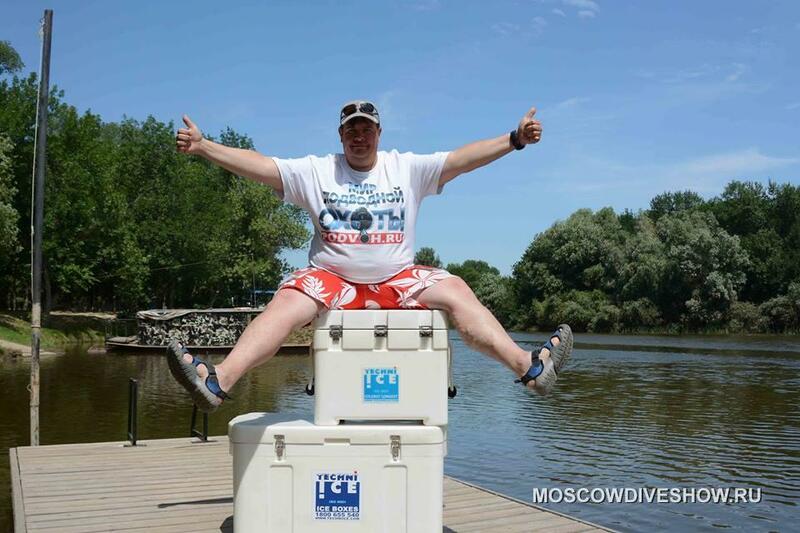 The Moscow Dive Show 2019 will start exactly in six months, but the good news from participants appear rirght now! Meet the summer sale of Australian thermal boxes Techniice! It's always a great pleasure to test and advertise good stuff. 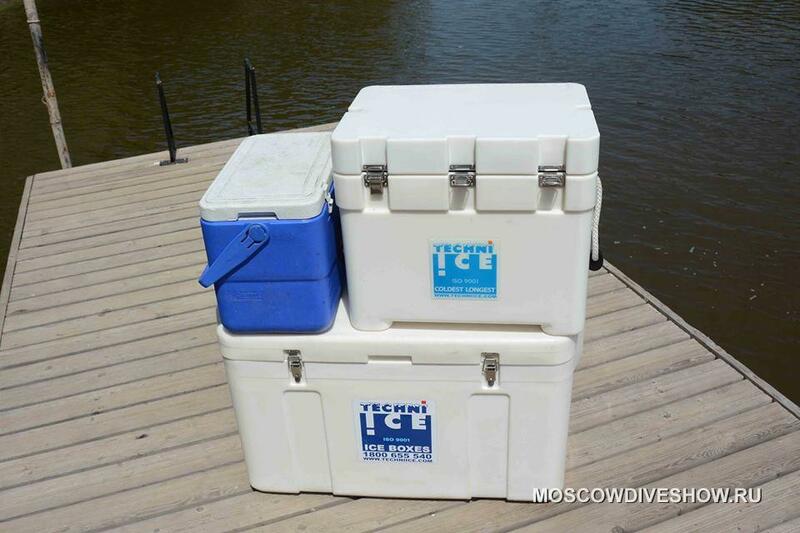 During our July expedition to the delta of Volga river, we tested powerful thermoboxes from the Australian company Techniice in conditions of scorching sun, which heated the air up to +50C! We were tired to bring from our fishing semi-brewed fish, which was dropped by jaegers into their drawers under the seat. The fish should be fresh and must be eaten, not discarded. Also on board you want to enjoy some cool drinks snd sandwiches with non-melted cheese. 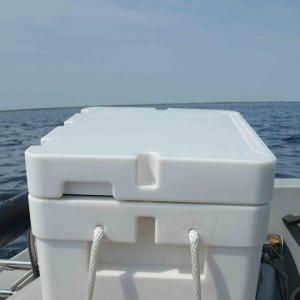 Testing was very simple - we took two boxes, put them under the scorching sun on a boat and cruised 6 hours around Volga. We had the simplest thermoelements - bottles with frozen water. We also had a standard blue Campingaz thermal box with which everyone usually leaves for nature - it's light, compact and inexpensive. With decided to compared it with Techniice. Whatever it was, we can't break the rools of thermodynamics. Campingaz has about one inch thick sides. 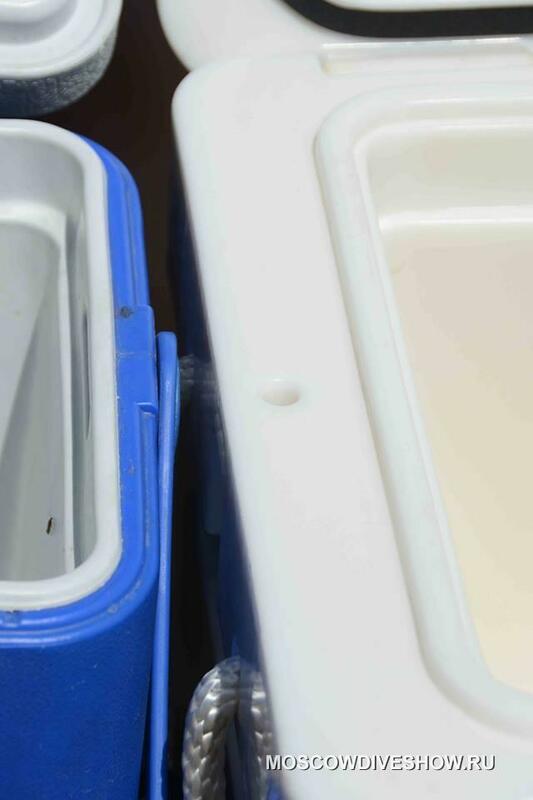 The Techniice thermal box is made of the durable plastic, it's sidea are about 8 cm thick and have an additional insulating material inside. After 6 hours we took the last unopened bottle of water from both of the boxes. As for Campingaz, the bottle was not boiling yet, not +50C, like the outer air, but it was already very warm, by feel, something about +25C. In Techniice bottle we still had pieces of ice. 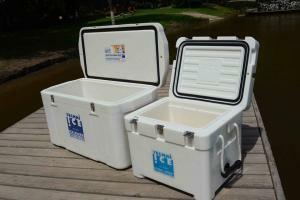 The Techniice thermal box is executed brutally, as much as it's possible. It appears to be invulnerability in any circumstances. 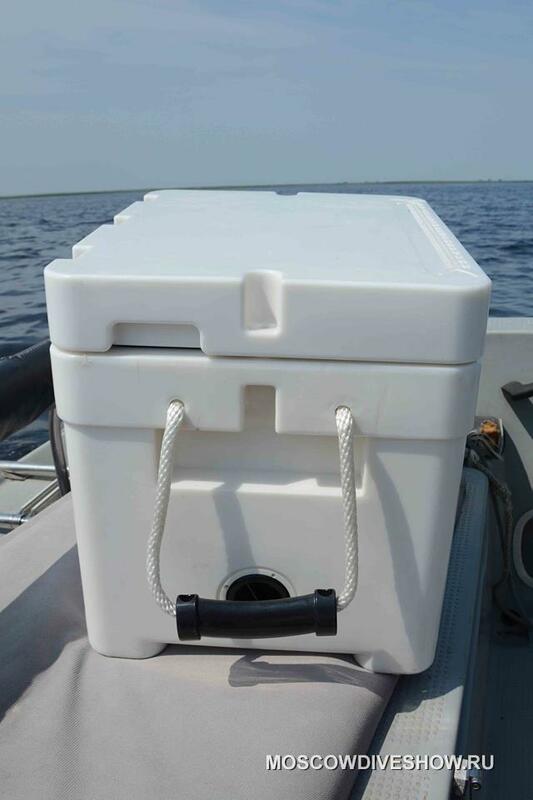 It has two rope handles aside, so together with your friend you can conveniently bring the box and put it on boat. By the way, you can easily use your Techniice box as as a seat. For extra testing, we put one box on the other and checked how they hold the load of an adult plump human sitting on them (in addition to that duties, the human is the editor-in-chief of our magazine). On that trip were also had some sheets of Techniice reusable ice. The sheets are quite sensational because they keep both heat and cold. In order to prepare the sheet for use, it must be diped into the water. For half an hour the gel in the cells swells, then you should leave it for a day in freezer. After that, the sheets can be cut out on any form you need, or you can simply lay them between your products. By the way, the sheets can not only be frozen, but also you can use them as a heater. For example, if you want to keep your food or clothes worm during the autumn hunt. In that case, it is necessary to prepare the sheets before the hunt not in the freezer, but in your microwave oven. Our tasm was really excited of these boxes. Of course, good things always cost more than bad things. But give an attention! Right now you can buy it with a very good discount! 1. Promotion code TECHNIICE-PODVOH insures you a 20% discount from the retail price indicated in the product card. 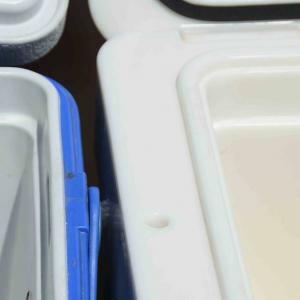 It's valid until August 15, 2018 for all products of Techniice (AUSTRALIA), isothermal containers and Reusable ice. 3. When placing an order at http://amp.gs/P8xG, in the basket, under the selected product, you need to enter the promotional code TECHNIICE-PODVOH. 4. The discount does not summarize with other offers. 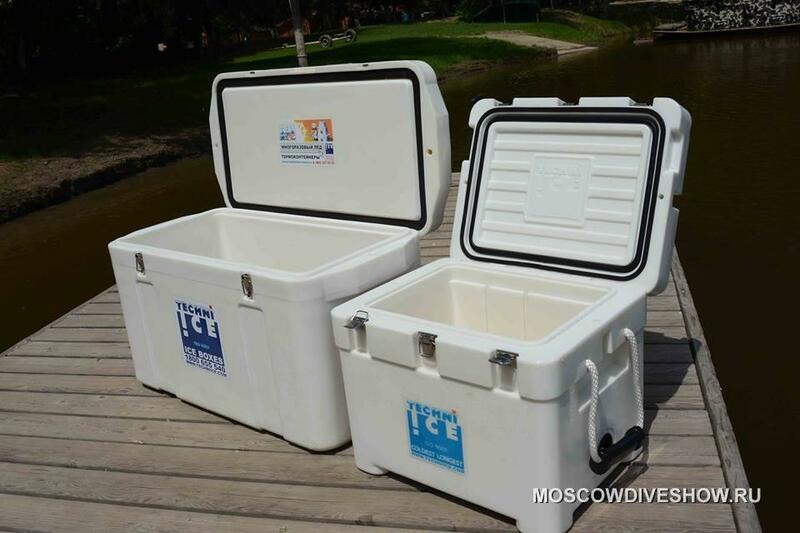 At the Moscow Dive Show 2019 (Sokolniki, January 31 - February 3, 2019), these boxes will be presented to our visitors. Look for Techniice's stand B1/3, main hall. Later, before the exhibition, the company will give you some new special offers. Stay tuned!